4 images. One hundredth birthday, 6 June 1952. 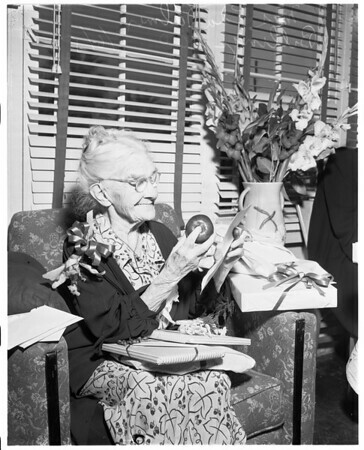 Mrs. Edna Palmer Billings, 100, holding letter from President Truman.